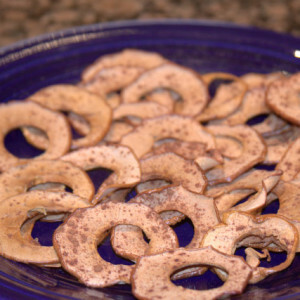 These were a BIG at my house we ALL liked them. And as long has you have a little time they are SO easy. 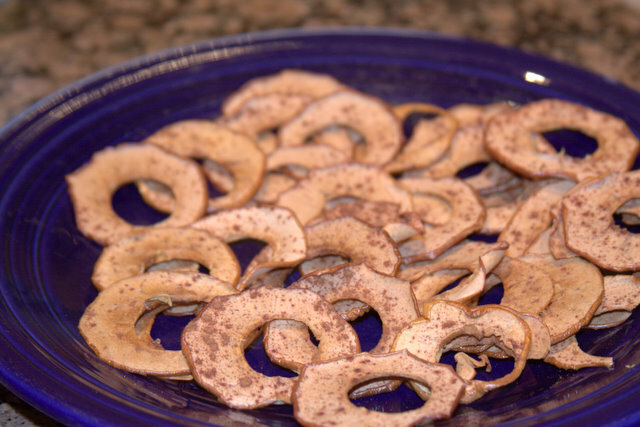 Sweet, crunchy, and healthy YUMMY. 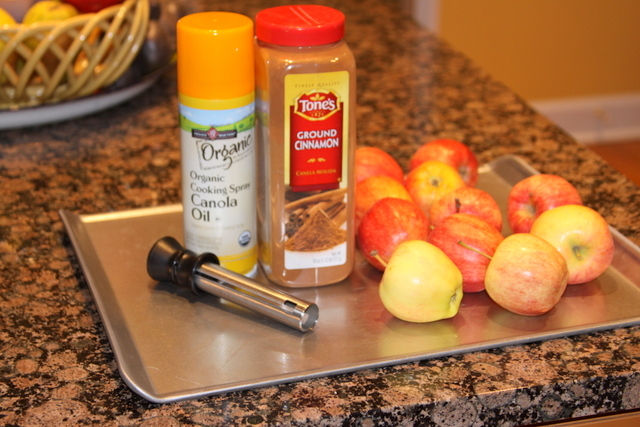 All You need is apples, and cinnamon, I did put a very little spray oil on my pans also. 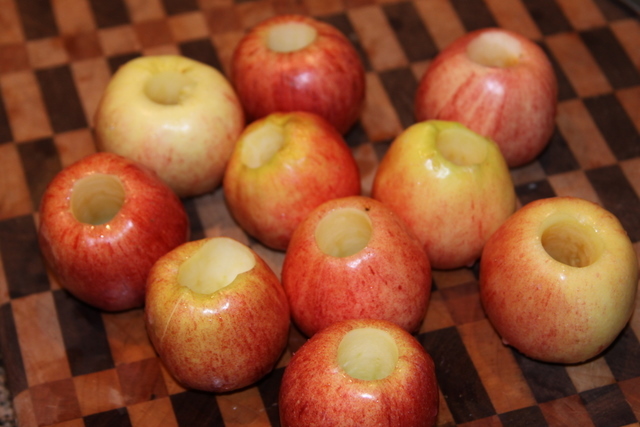 Core the apples, and slice very thin. 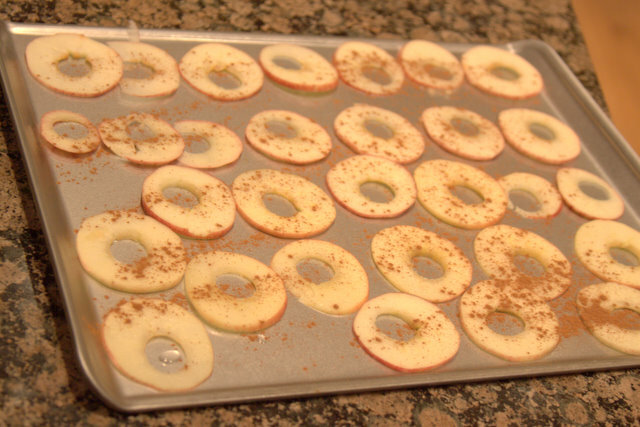 Put on a cookie sheet and sprinkle a little cinnamon over and place in the oven at 250 degrees for two hours.